My stay in Los Angeles has come and gone in a flash — great exhibitions, especially the Getty’s Pacific Standard Time: Crosscurrents in L.A. Painting and Sculpture, 1950–1970, which, among other things, shows why the paintings of Ed Ruscha, Richard Diebenkorn, David Hockney, Lee Mullican and Sam Francis are perfectly at home cheek-to-jowl with one another; incredibly sweet clients, both new and from the early Devon days; and the kind of serendipity this trip keeps effortlessly popping out. In this case, my Echo Park motel turned out to be a two minute walk from my old friend Jol Devitro’s 40th birthday party. My shopping spree at Art Palace shortly before leaving Houston turned out to have paid off: I was able to give him a can of Anthony Thompson Shumate‘s Capitalist Soup, specifically the Lucre flavor. 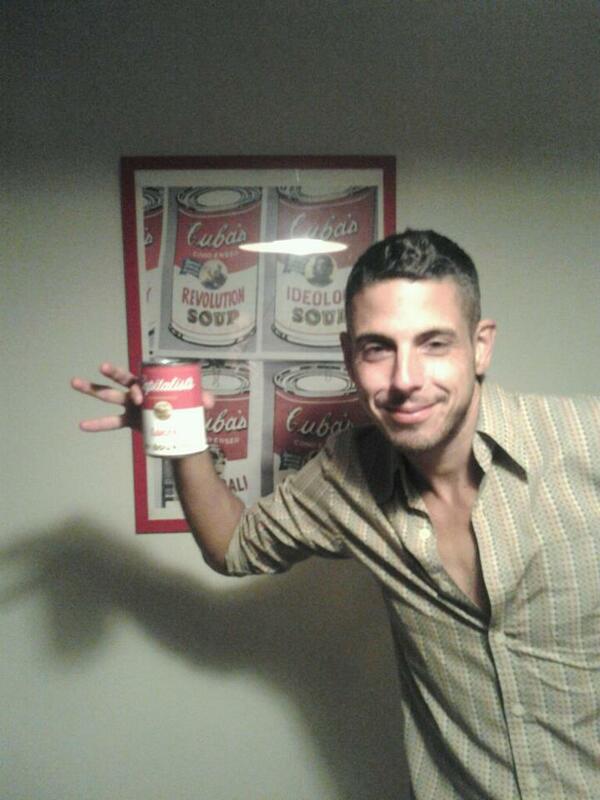 Jol aptly posed with the can under a Cuba’s Soup poster that happens to hang in the host’s house. May your next 40 years be lucrative, yet revolutionary, Jol. Off to San Francisco, home of the early Devon days, for a week.